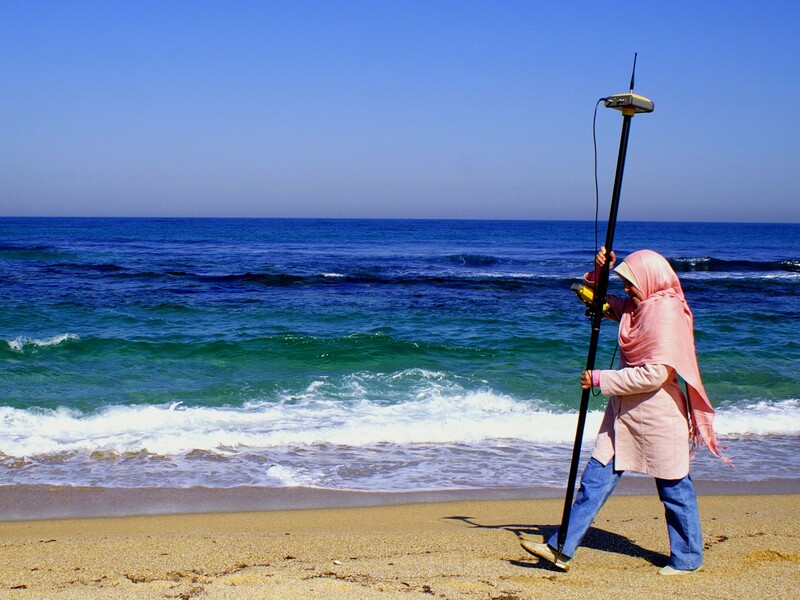 EGU Blogs » GeoLog » Gender equality in the geosciences: is it a numbers game? Here’s a tricky question for you. Try and name a woman in geoscience who has won an award for their studies in the last 5 years? How about a man? Chances are it is much easier to think of a male geoscientist who has won an award than a female one, but is that because more men win awards in geoscience than women (compared to the number of male and female geoscientists)? This was the question that was raised at an innovative session co-organised by the European Research Council on ‘Promoting and supporting equality of opportunities in geosciences’, at the European Geosciences Union’s General Assembly in April this year. The session focused on gender based equality, and addressed the experiences of women from subject-based, institutional, national, and organisational levels. As well as the individual experiences described in the session, questions were also asked more broadly of the role of large organisations such as the publishing houses (including Nature and Science), the European Research Council and EGU – with a particular focus on recognition and awards. Awards are not only useful for career progression for early career scientists (ECS), but also raise the profile of the researchers gaining them, who act as role models for junior staff and students. If women are missing out on awards that could not only impact negatively on the career prospects of those individuals, but also reflect a bigger issue in how women in geoscience are rewarded (or not) for their work. The EGU has a unique insight into the question of gender equality in the geosciences as it has some data from its members, but also presents several of our discipline’s most prestigious awards and medals, to both advanced and early careers scientists. Alberto Montanari, the outgoing Chair of the EGU Awards Committee, presented the results of an investigation into the balance of male and female award winners. First, some numbers. 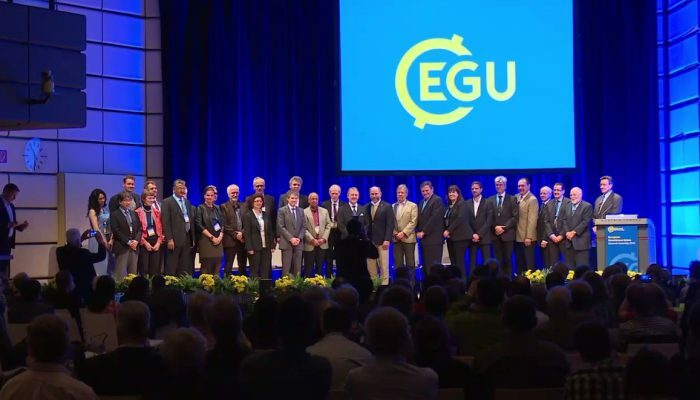 Every year the European Geosciences Union awards dozens of prizes to some of the world’s leading geoscientists. These prizes cover Union Medals and Awards, Division Medals, and Division Outstanding Early Career Scientists Awards (previously known as the Division Outstanding Young Scientists Award) . All award or medal nominees must be members of EGU to be eligible. The 2016 awards received 155 nominations, of which 16% were for female scientists. Of the total 49 prizes given this year eight were for female scientists (three of those were for early careers scientists). What is also important to note is the total number of EGU members divided by gender. In 2015, 69% of members were male and 31% were female, with the difference between male and female member proportions more pronounced for early careers scientists. Secondly came an interesting question – how do we compute gender equality for award winners? Do we calculate the total number of female award winners per female membership percentage, or the total number of female award winners by the whole population of members – male and female? This question raises an interesting dilemma as both methods have positives and negatives. If we calculate the number of female winners by the population of female members then essentially this is saying men and women have an equal chance of winning within their gender grouping. However this masks the potential for women to be underrepresented within the organisation, as is currently the case in EGU right now. On the other hand if we calculate the number of female award winners by the total population of members (male or female) the female winners become equally as visible as the male winners. This can act as a catalyst that places the EGU as a gender balanced society, which could in theory encourage greater female membership. On the negative side, it does make it more competitive (proportionally) for members that want to win an award, and this is not what gender equality should be about. One final thought on this issue, came, repeatedly from both the audience and the speakers. Although it is vitally important that gender equality is addressed in geoscience, it is not the only type of equality that needs to be examined. We need to be aiming for parity in racial, national and disability accessibility, to name just a few areas and it is hoped that in the future, EGU sessions like this one will continue to challenge our preconceptions of equality and fairness in our science. By Hazel Gibson, EGU General Assembly Press Assistant and Plymouth University PhD student. Hazel is a science communicator and PhD student researching the public understanding of the geological subsurface at Plymouth University using a blend of cognitive psychology and geology, and was one of our Press Assistants during the week of the 2016 General Assembly.